I did my first cross county run since school!It was 15k of misery, cold and mud but I did it! 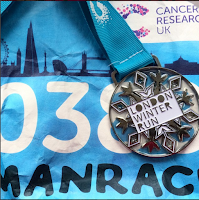 I ran 10k in under an hour for the first time, 59.39mins at the London Winter Run. I ran my first half marathon in Brighton in 2hrs 11. 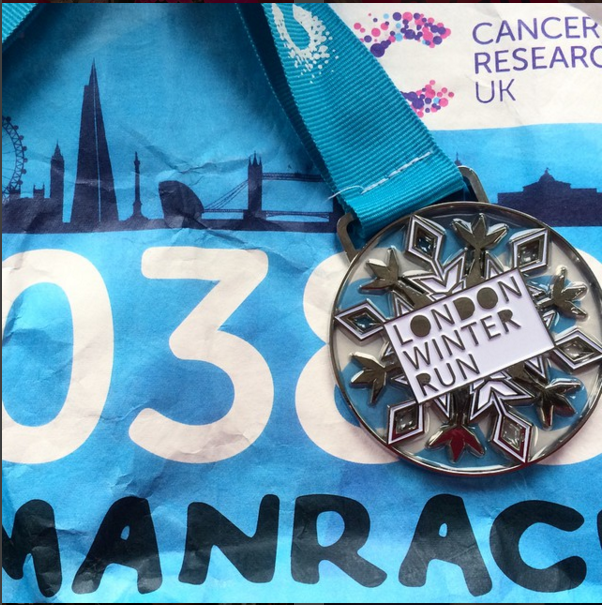 It was the furthest, most difficult run I'd ever done in cold, windy conditions. My face after I'd crossed the line says it all. I started my Parkrun PB streak but more about that at the bottom! 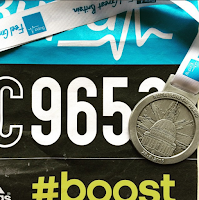 A 10k PB at the Bupa London Run, 54.31mins with my leg tapped up and burning like hell. 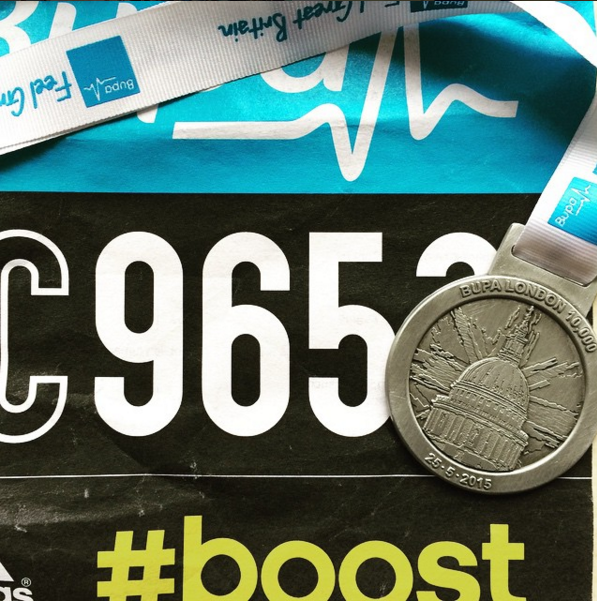 Just a few weeks after my 10k PB, I had another one- 53.52mins. Annoyed I walked some of it when I saw that time! I entered the Nike Women's 10k with my mum, cousin and aunts and we had a great time! 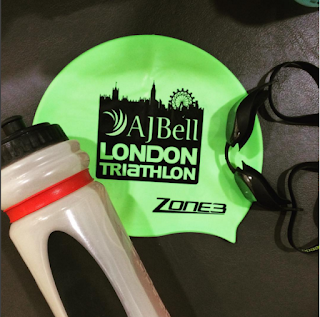 Not quite a PB but so much fun and tons of free swag along with a glass of champers as I crossed the finish line! I went to the lake and swam alone for the first time! This was one of the scariest things I've done and being alone (minus the ducks!) was absolutely terrifying. I was so proud of myself! I did my first Olympic distance triathlon (1500m swim, 40k bike, 10k run) at the London Triathlon. 3hrs 35 after getting in the Thames I crossed the line with the biggest, proudest smile I've ever had. 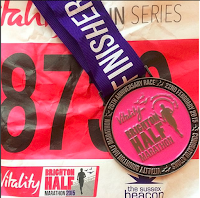 I ran the Reigate half marathon a week after entering (note to self: always read the date carefully). Very very hilly and practically no training but still 2hrs 10mins. I cycled to Hever castle and back. A solid 3 hours of hills, hills and a few more hills. I finished the year with both my teams on Boxing Day; the family crew and my lovely friends. We did a muddy, messy, hilly 6.6k which was surprisingly very fun. Of the 10 Parkrun's I ran this year, 8 were PBs! Wow!!!! What a great year when it's all summed up! Here's to an even better 2016!